TPA is an abbreviation for Third Party Administrator. These companies are BPO of insurance companies and are responsible for coordinating all aspects of claims arising due to health insurance policies. The role of TPA is to coordinate with hospitals with respect to treatment and alsopass the bills on behalf of the insurance companies. The actual payment is made by the insurance company. As far as the legal contract is concerned, it is between the insurance company and the person insured. As and when permitted by doctors the patient may have to be moved to appropriate TPA approved hospital. The general thinking of TPA's is that treatment should not be in a very small hospital (less than 15 beds) as the facilities may not be upto the mark. In this case TPA may make direct payment to hospital, where patient was taken in emergency. TPA may ask you to make the payment to hospital and submit the bills for reimbursement. If after few days patient is moved to TPA approved hospital then bill of that hospital will be paid by TPA directly. 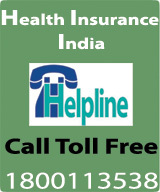 In the event of an insured going in for Hospitalization for planned treatment/surgery. Hospital where hospitalization is planned. Reason why hospitalization is required. Copy of the prescription from the doctor specifying the treatment/surgery. If the Hospital where Hospitalization is planned is on approved list then they will give the authorization, which means that Hospital is getting the instructions to provide treatment and send the bills for payment to TPA. It means that this is a case of cashless settlement. If the Hospital where Hospitalization is planned is not on approved list then they will give the authorization to go ahead with treatment at that hospital. 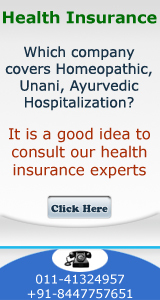 In this case insured makes the payment and then submits the bills to TPA for payment. It means that treatment is approved but it is not a case of cashless settlement. List of TPA's is attached at the end of this for reference purpose. List is continuosly being enlarged. Sometimes existing hospitals are being deleted from the list. It is suggested that you verify with the hospital that it is on the approved list of specific TPA. Recently in 2006 some TPA's have introduced 5% concept under which insured pays 5% of the hospital bill and 95% of the bill is to be paid by the TPA. This has been done as hospital bill may be having some expenses which are ultimately not payable by the insurance company. If during finalisation of the claim it is found that 100% of hospital bill is payable then this amount of 5% which is being paid by insured will be paid by TPA to him.